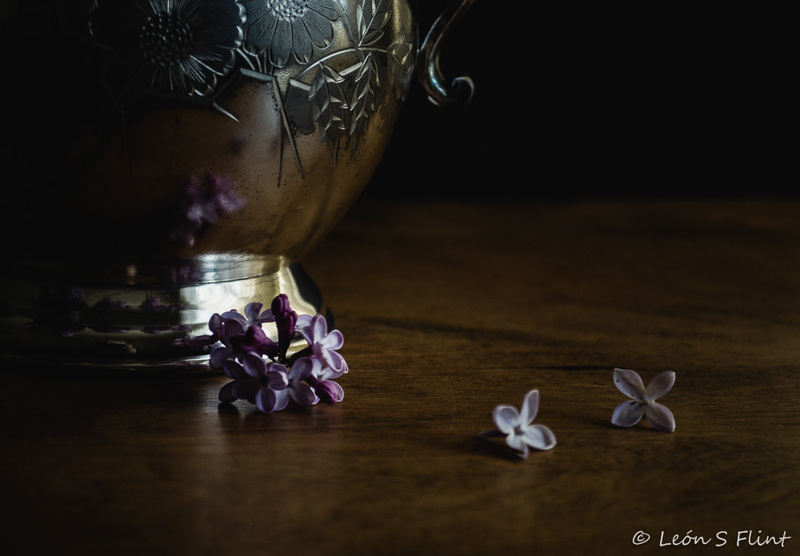 This week’s Be Still – 52 lesson was about creating a sense of movement in a still life — in other words, how to keep the viewer’s eye moving around within the photograph. 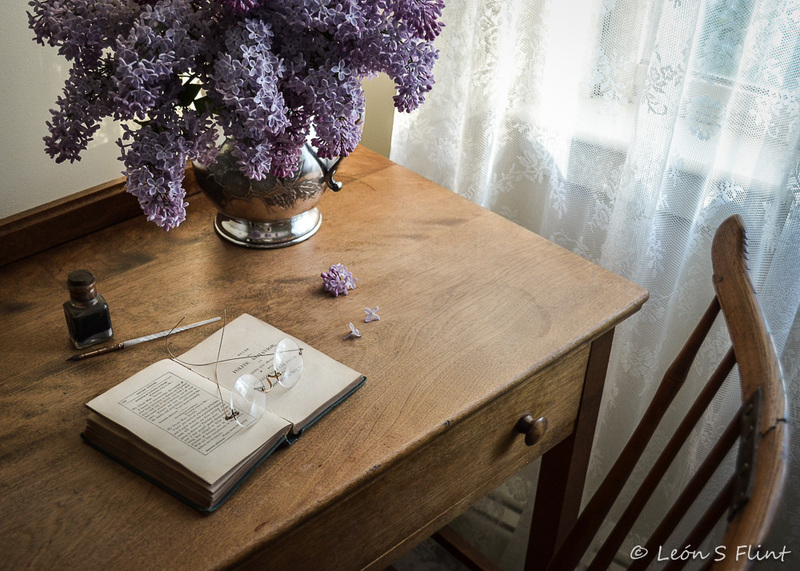 I’ve recently been inspired by Kim’s “Table and Chair” series to begin a similar series of my own featuring my antique maple writing desk and very old, mended Windsor chair. 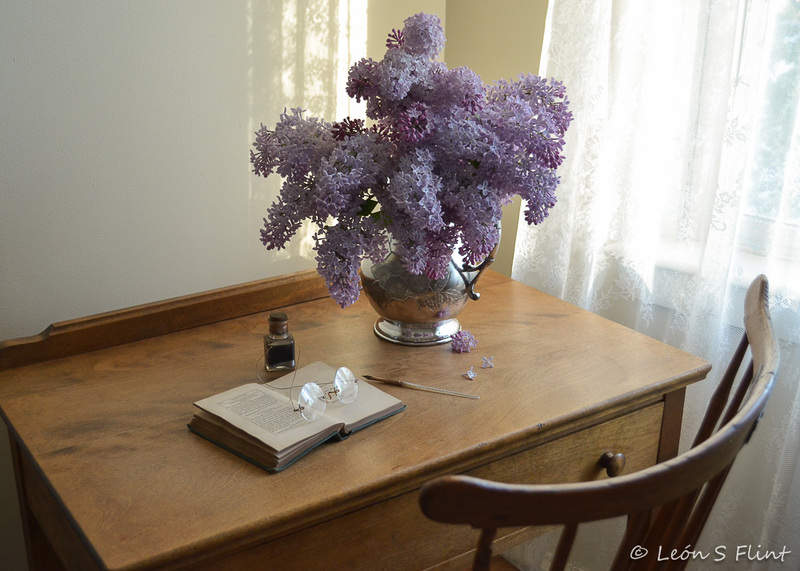 For this still life setup I added an armful of lilacs cut from the hedge at my daughter’s place and an assortment of treasures from that wonderful old house. My starting point, illuminated by late afternoon sunlight from my southwest facing window. It’s a good thing I wasn’t really trying to concentrate on reading or writing. 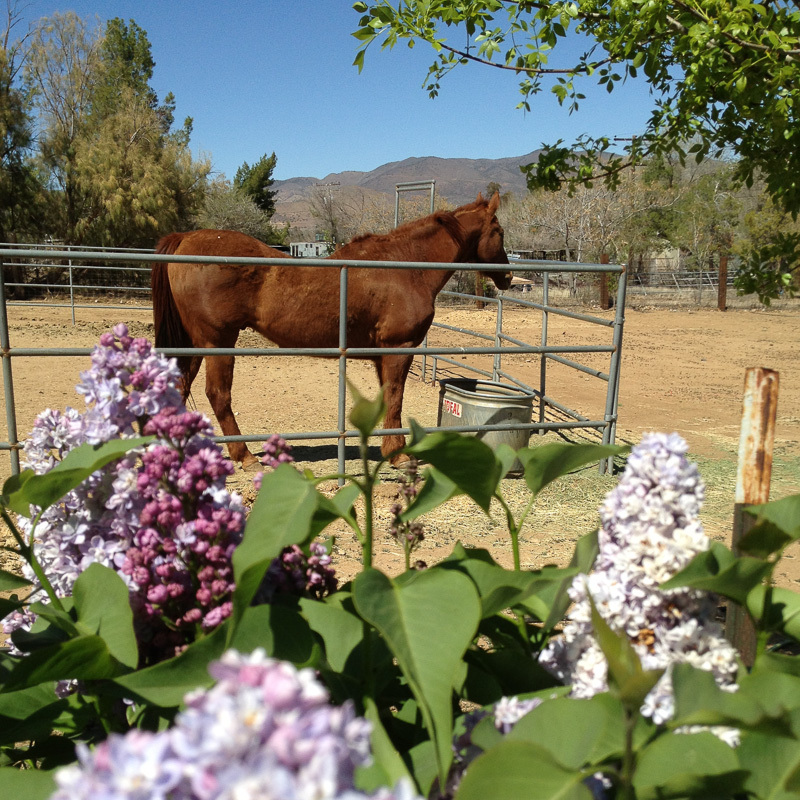 The scent of those lilacs was more than a little distracting. It was all I could do to keep my mind on my camera. 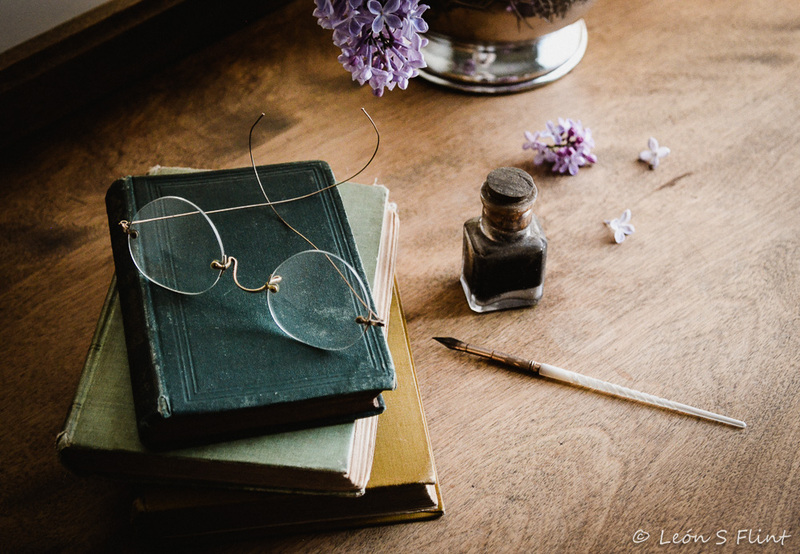 This little book is titled, in full, The Ladies’ and Gentlemens’ Letter-Writer, and Guide to Polite Behavior, Containing Also, Moral and Instructive Aphorisms, for Daily Use. 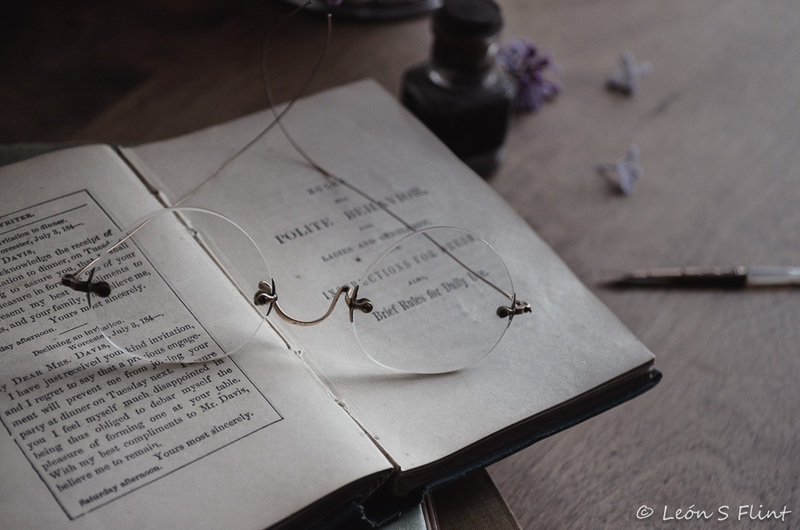 It was published in Boston and does not have a copyright date, but the sample letters printed within it all bear the date of 1859, leading me to think it must have been published in or near that year. It is smaller than you might think from the photos, only 3-1/2 by 5-3/8 inches by about 1/2 inch thick, but packed full of oh-so-useful advice. The section the book is open to reads “Rules for Polite Behavior for Ladies and Gentlemen, with Instructions for Dress. Also, Brief Rules for Daily Use.” There follows a long essay on “American Etiquette” which covers clothing, personal grooming, table manners, conversation, etc. The “Brief Rules” include such advice as “Avoid egotism” and “Avoid rude expressions.” It’s quaint and utterly fascinating. All I can conclude is that society in the mid-nineteenth century was much more polite than today’s is. But oh, so many rules! While I’d love to see more civility in civilization, I don’t think I’d want to be as regimented as the culture of that day was. Kim’s Shadows preset really made magic happen with this one. It’s interesting how some presets just seem made for certain images. I’ve tried Kim’s kk_BeStill preset on quite a few photos before, but didn’t care for it. When I applied it to this one it just popped — it was exactly what I wanted before I even knew I wanted it! Still one of my favorite presets — kk_Moody-ish. I liked this image but it felt a little flat straight from the camera. Now I love it! My own eye finds movement in these images. I’ll be interested to see if yours does, too. 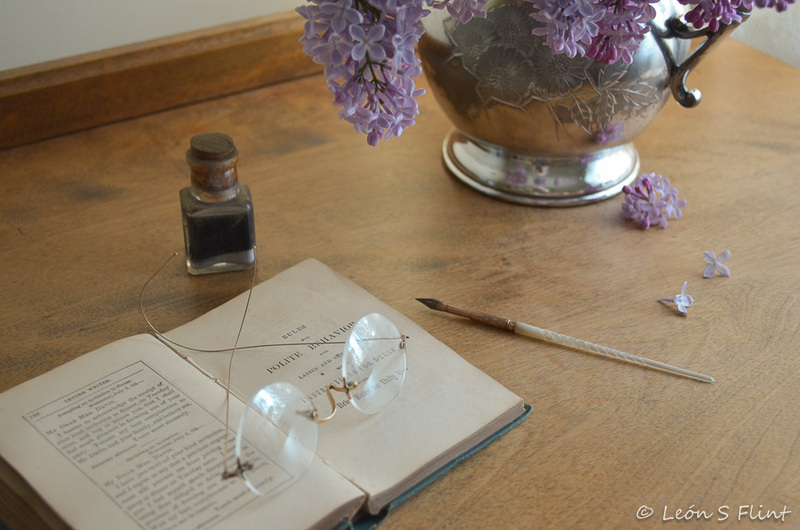 Categories: Be Still - 52 | Tags: antique chair, antique glasses, books, desk, etiquette, lilacs, pen, silver pitcher, still life | Permalink. 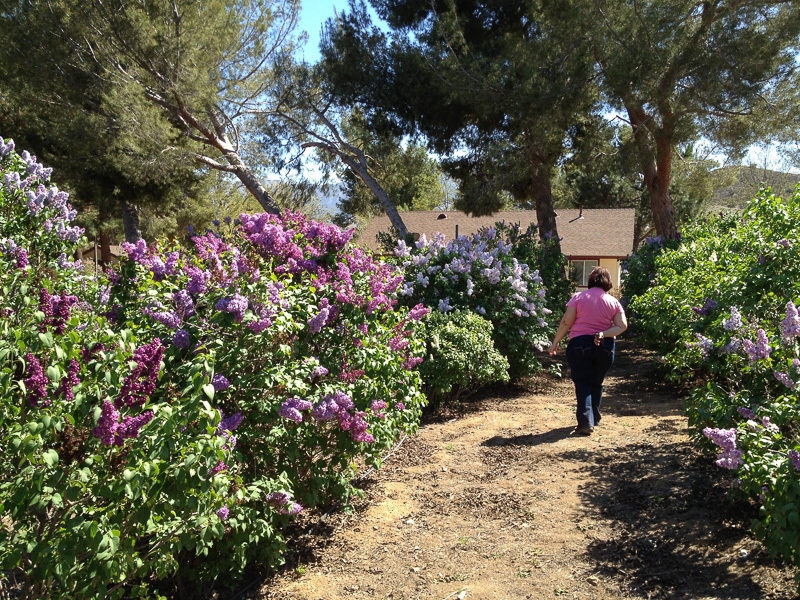 For Walk and Click Wednesday this week, my sister and I paid a visit to Kilcoyne Lilac Farm right here in Acton. 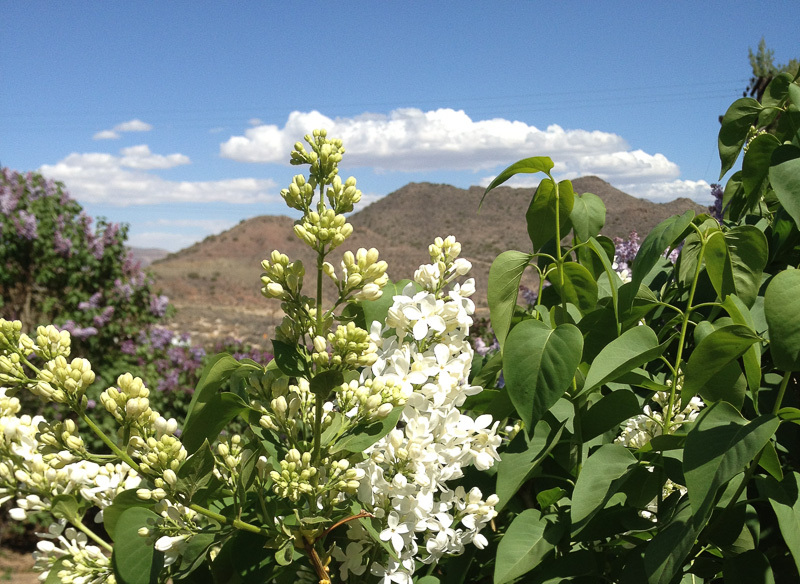 Imagine six acres of blooming lilacs, surrounded by beautiful mountains under a wide blue sky. Imagine 73 perfect degrees and a gentle spring breeze. 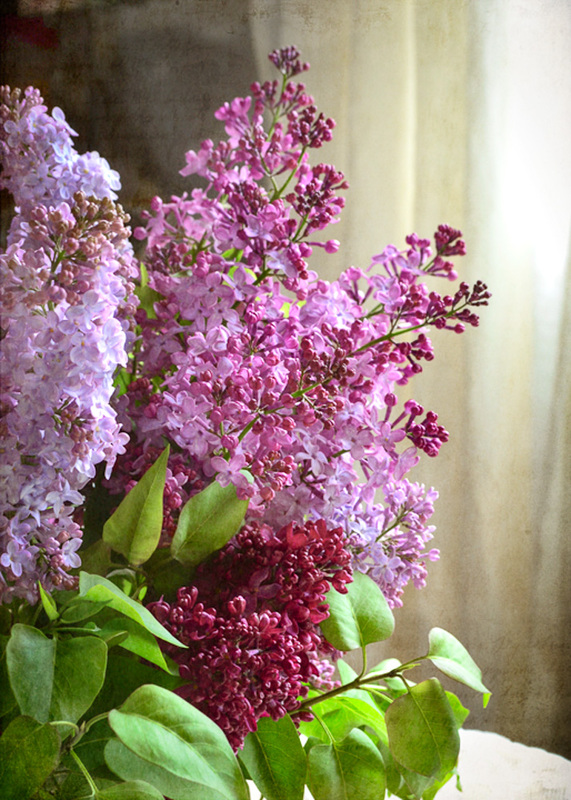 Imagine inhaling the fragrance of lilacs until you think your lungs will burst. Come along as we park beside the road and walk in. 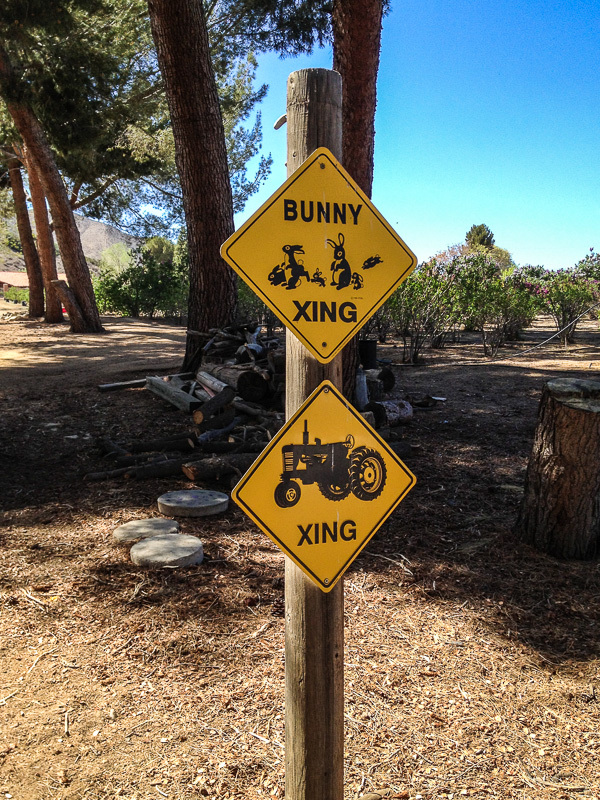 This sign greets visitors entering the driveway. 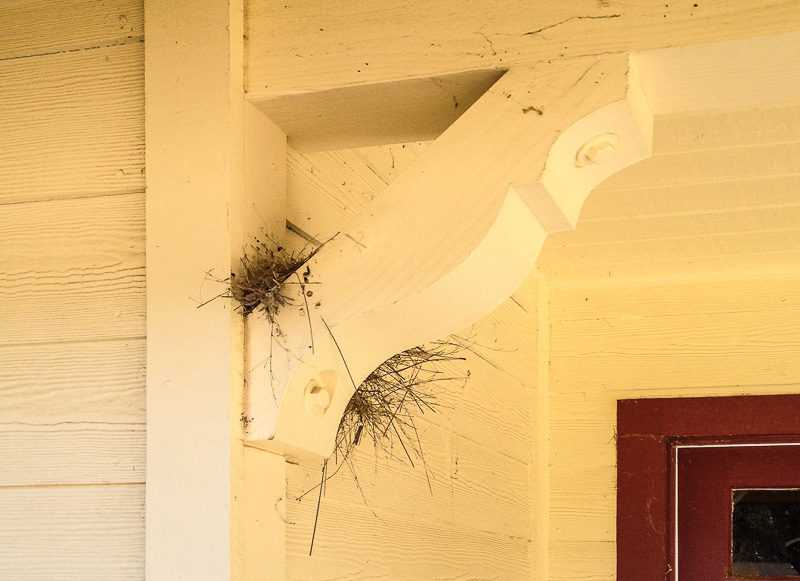 As we arrived, I saw a small bird fly out of this nest tucked under a porch roof. 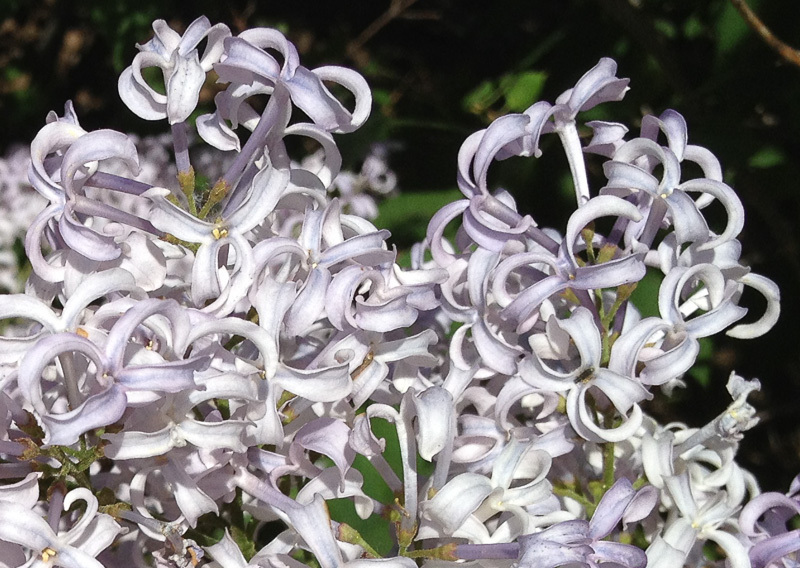 The sight and scent of so many lilacs was almost overwhelming . . . but in the most delightful way. 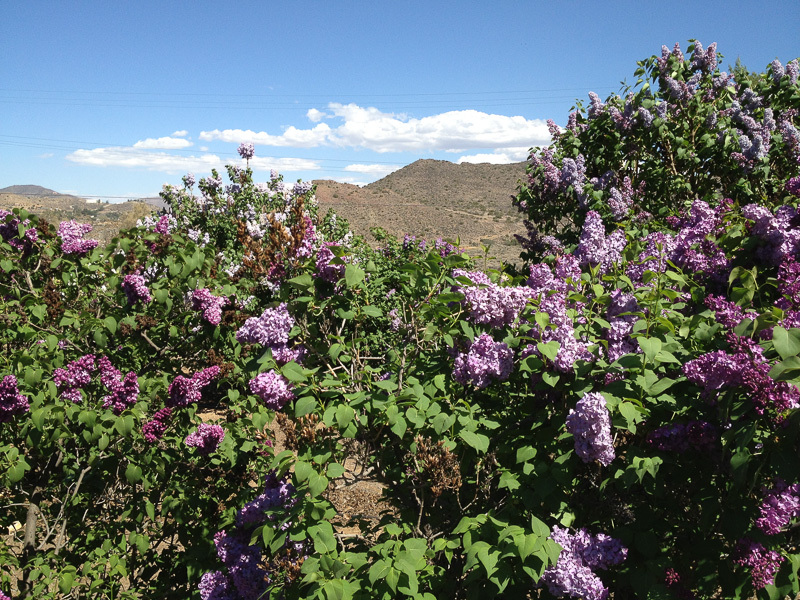 There were lilacs of every conceivable color. 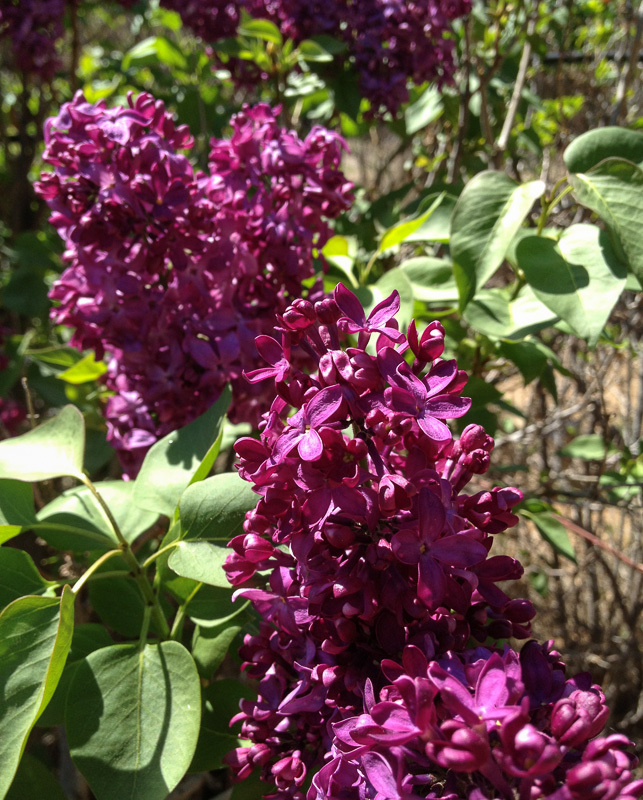 I’ve never seen lilacs like this one before. I love these frothy, curly petals. This old boy seemed to be enjoying his leisure just beyond the lilacs. All good things must come to an end. Senses filled to overflowing, we headed back toward the exit. But not without stopping by the shed to buy a bouquet to take home, to savor the scent of this day a while longer. What a memorable walk this was, and what a wonderful discovery! 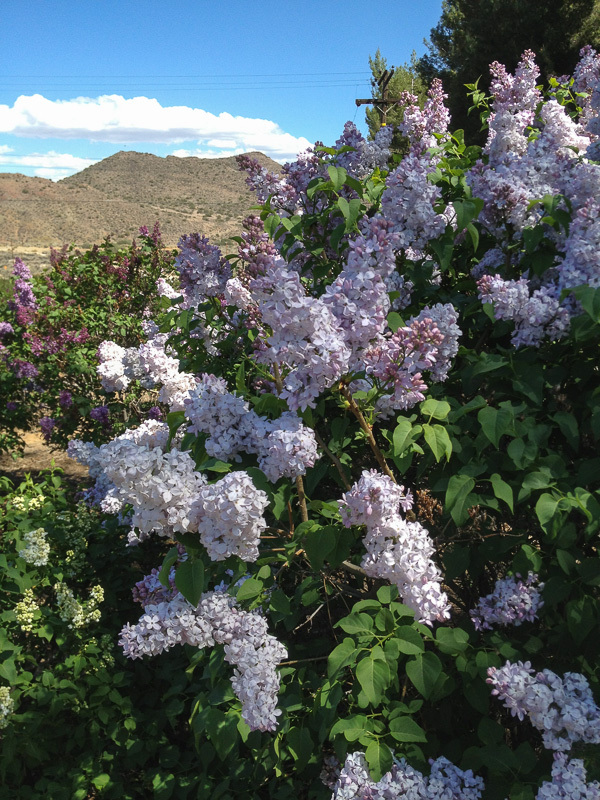 In all the years I lived in Nevada and California, I only knew of lilacs from having read about them. 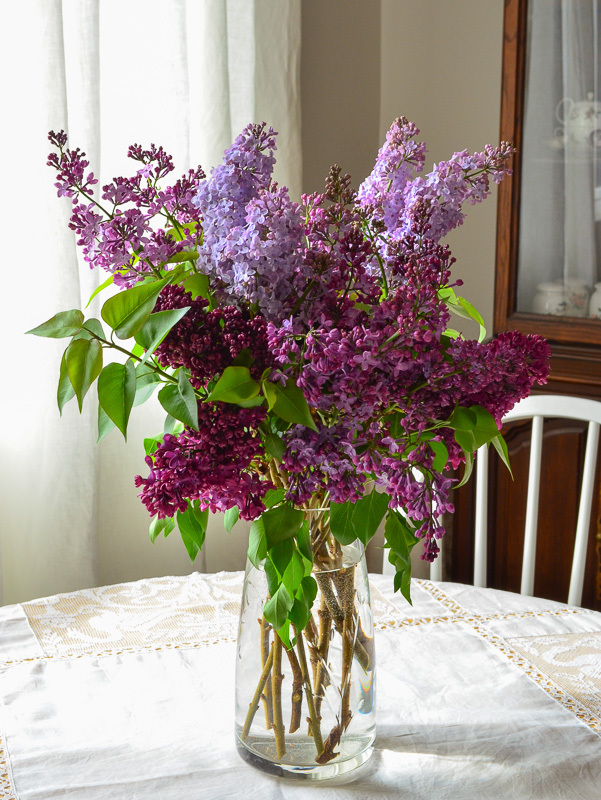 When I moved to the eastern US in the mid-1990’s, I fell in love with them at first sight — and smell. I’d never have guessed they could grow in the high desert of Southern California. I’m happy to know that I can experience their heady joy here and now, and in every spring to come. PS – All these images, except for the last one, were taken with my iPhone. When my sister and I left the house, we intended to grab some lunch and go shopping, so I didn’t take my camera. 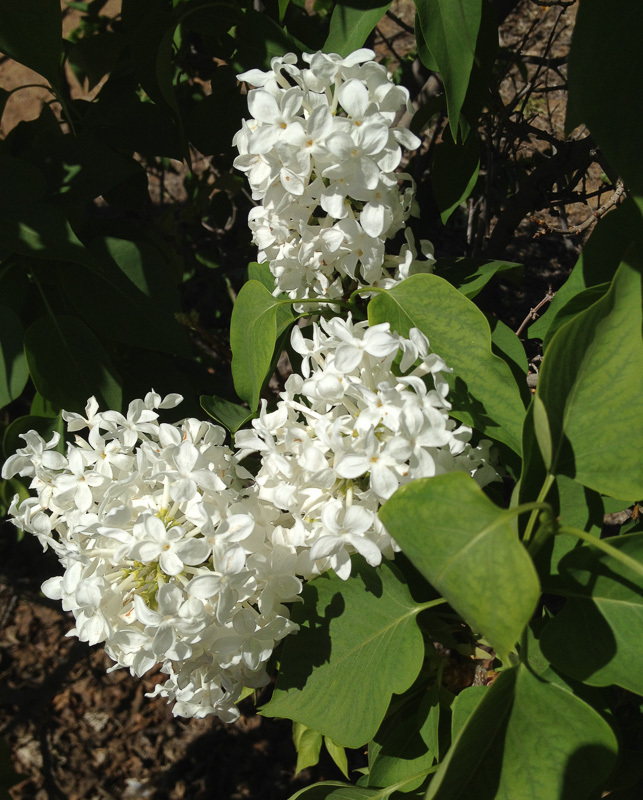 Stopping to smell the lilacs was a spur-of-the-moment impulse. We never did get to the stores, and we weren’t sorry at all. Linking with Walk and Click Wednesdays, with many thanks to Lissa for hosting. I look forward to it more each week. Come on over and join the fun! 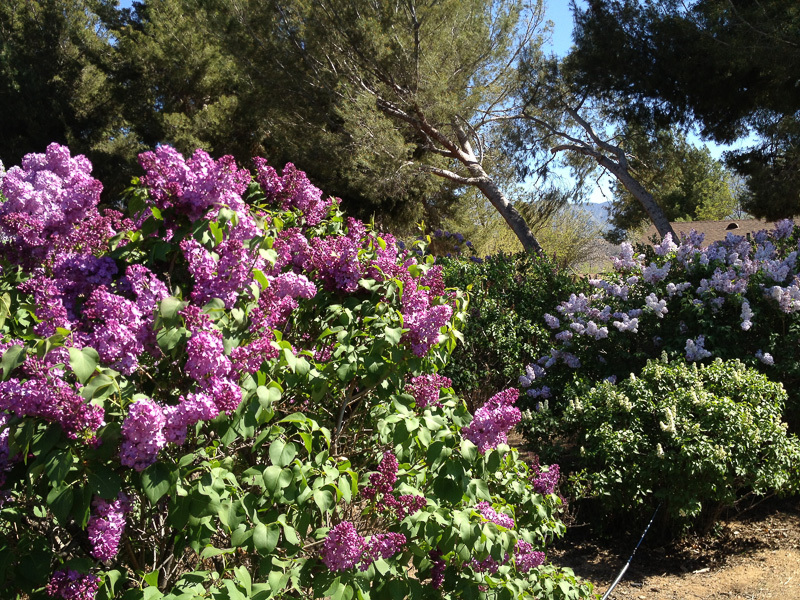 Categories: Walk and Click | Tags: Acton, California, iPhone camera, Kilcoyne Lilac Farm, lilacs, spring | Permalink. Wishing you a happy day and a wonderful week! 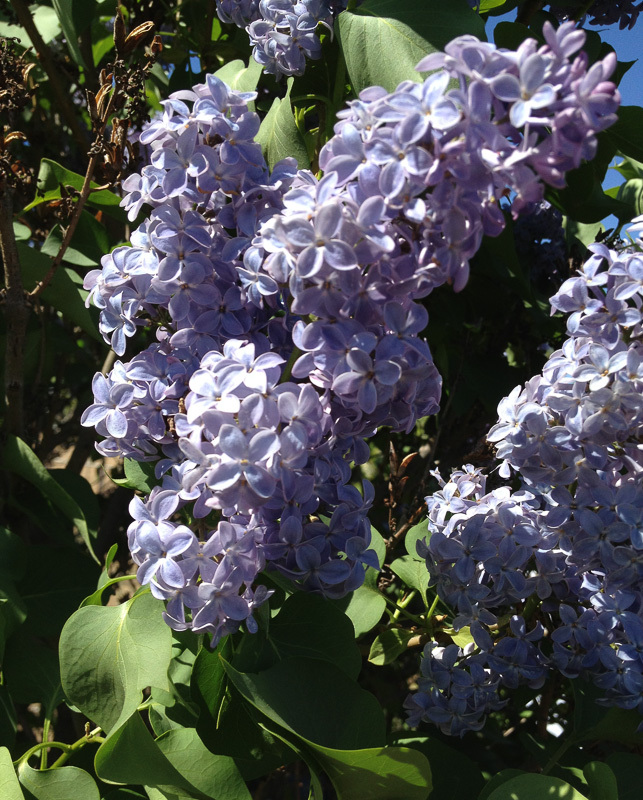 Categories: Holidays | Tags: Easter, lilacs | Permalink.